Shooting Star Slime DIY Homemade Slime for Kids, Slime Recipe: Shooting Star Slime. 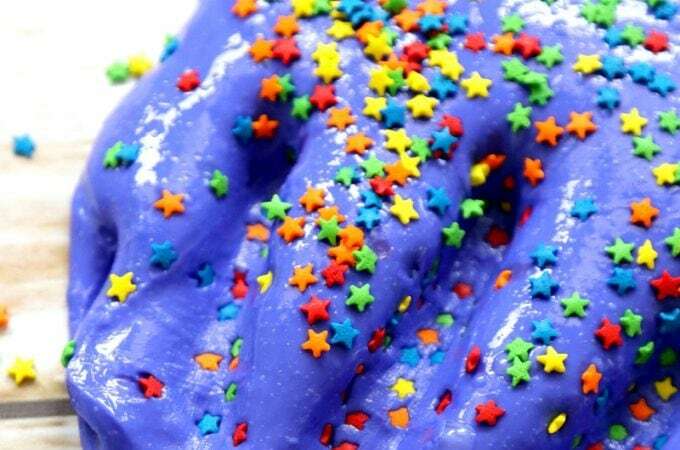 Perfect Slime recipe that comes alive with STARS that Streak through the slime! I love sharing with all of you new and innovative ways to play with your slime and learning how to make slime this way is no exception. 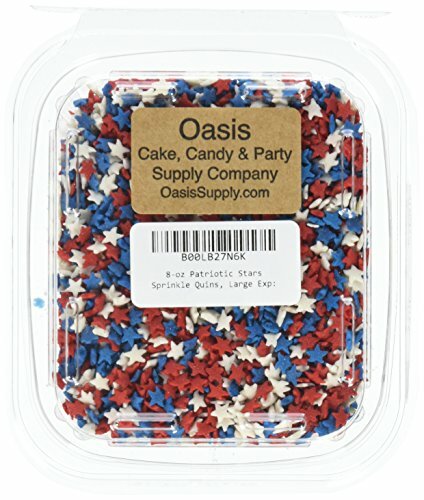 Of course we have already created Rainbow Explosion Slime which is another take on this, with beautifully appearing rainbows using nonpareils. 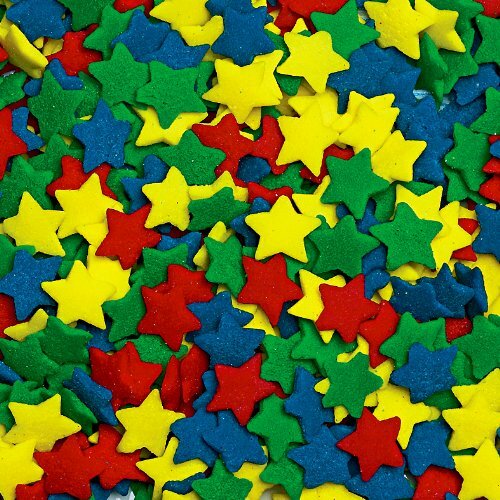 This brings your slime to life with stars and with a little patience, they come streaking through your slime leaving a beautiful trail. 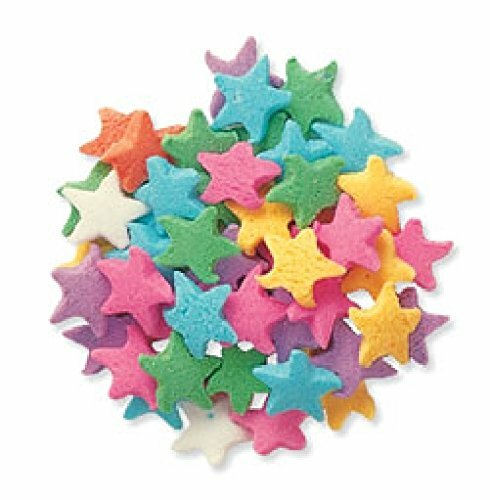 Stars fold easily into the slime with play and you can sprinkle and start over and over again. This type of slime can be made in any color, but light colors work best if you are looking to see results of the stars melting. Of course if you do not want your stars to melt, you could also use microbeads like we did in microbead slime! I also really love Fluffy Sand Slime and it reminds me so much of what moon dust would be! In this case, the slime in the pictures is NOT a fluffy slime, however that’s irrelevant to the outcome. You can make this with or without shaving cream. Some find it easier because it absorbs some of the starch and makes it easier to get the right consistency. You still need the traditional slime ingredients. 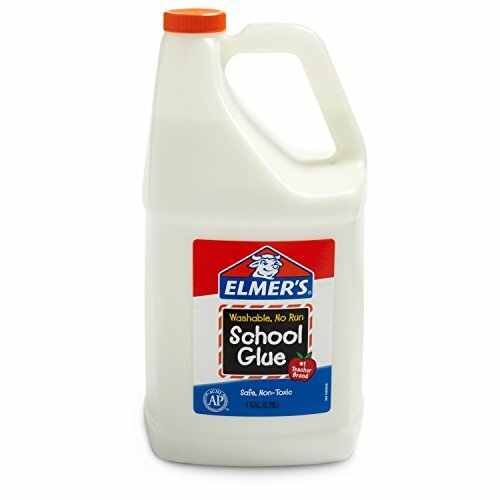 For us, that is a Gallon of Elmer’s Glue , Liquid Starch , a colorant if you want it to have color (I prefer Wilton’s Food Coloring ) and for this, the additive that makes fluffy slime work, extra moisturizing shaving cream . Here is a list of items you will need for your fluffy slime recipe. This fluffy slime is made with liquid starch. I have found that its EASY to reproduce whereas slime with borax as the thickening agent can go badly quickly and leave you with a hard rock of slime. Do not wonder what went wrong- just use liquid starch. Now the fun part, making your shooting star slime. The first thing you need to do is create a solid color slime. I chose yellow because its super easy to see the colors of the stars. 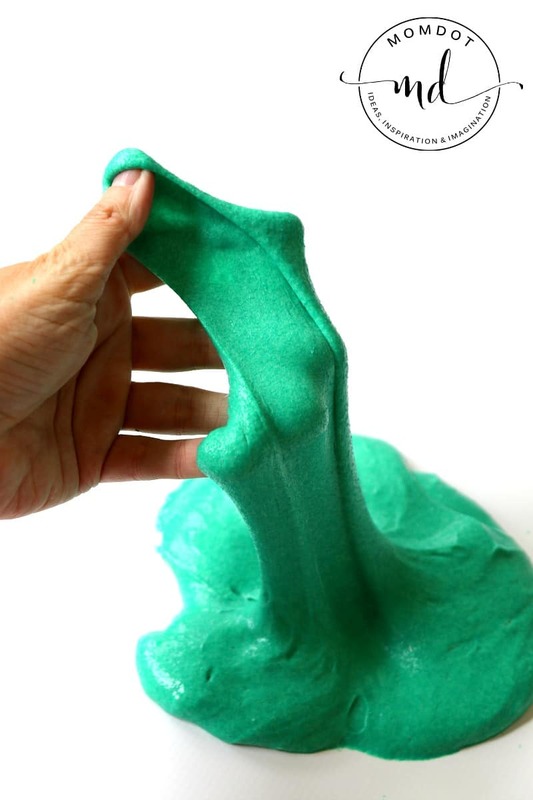 To make slime is pretty easy, but I have found its best to pour and adjust to get the right amount to play with. A good rule to start with is about 2 cups glue to about 1/3rd cup starch. Here is the tip: If the slime is sticking to your fingers, it doesn’t have enough starch. Either dip your slime back into the bowl and mix more starch (if there is some left in there) or pour a little bit more into the glue mixture little by little till it starts un-sticking. The entire process can take about 5 minutes. Its easier to add more starch than add more glue, so its better to start with less starch and add. The reason there are no hard measurements is because most people make varying sizes of slime batches, so you will need to find the exact ratio. You can also easily add shaving cream to your glue mixture prior to adding starch and it absorbs some of the liquid and makes it “fluffy.” It wont affect your stars either way. Once your slime is made, let your slime settle and sprinkle your stars . 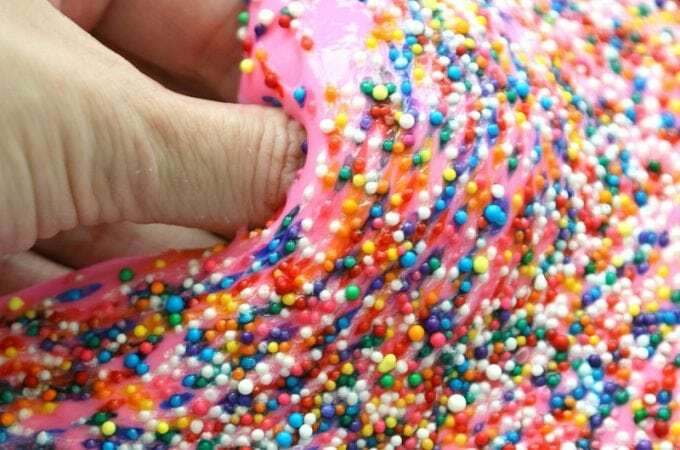 If you WAIT about 30 seconds and then pull on your slime, it will give some time for your sprinkles to melt into your slime and then leave pretty rainbow colored streaks. Once you play a bit they will be folded into your slime and you will need to re-sprinkle and start over for the same affect. Be prepared to use the whole bottle cause its pretty fun! Now the fun part, making your shooting star slime. The first thing you need to do is create a solid color slime. I chose yellow because its super easy to see the colors of the stars. To make slime is pretty easy, but I have found its best to pour and adjust to get the right amount to play with. A good rule to start with is about 2 cups glue to about 1/3rd cup starch. Here is the tip: If the slime is sticking to your fingers, it doesn’t have enough starch. Either dip your slime back into the bowl and mix more starch (if there is some left in there) or pour a little bit more into the glue mixture little by little till it starts un-sticking. The entire process can take about 5 minutes. Its easier to add more starch than add more glue, so its better to start with less starch and add. The reason there are no hard measurements is because most people make varying sizes of slime batches, so you will need to find the exact ratio. You can also easily add shaving cream to your glue mixture prior to adding starch and it absorbs some of the liquid and makes it "fluffy." It wont affect your stars either way. Once your slime is made, let your slime settle and sprinkle your stars. 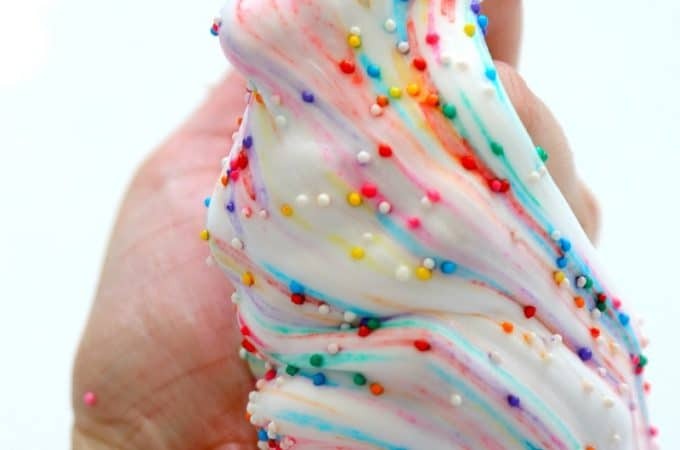 If you WAIT about 30 seconds and then pull on your slime, it will give some time for your sprinkles to melt into your slime and then leave pretty rainbow colored streaks. Once you play a bit they will be folded into your slime and you will need to re-sprinkle and start over for the same affect. Be prepared to use the whole bottle cause its pretty fun! More sprinkles for your slime star choices!